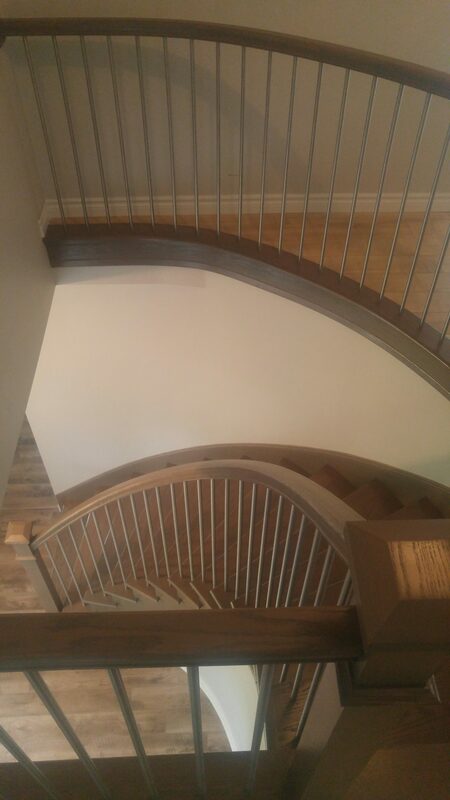 ﻿ Curved Staircase Packages - Designed for Curved Stairs | Scotia Stairs Ltd.
A curve staircase is a piece of customer high end art and a main focus of a homes entry. When done properly and to a high standard by a professional stair design company a curved staircase gives a very powerful and positive first impression, to visiting friends ( or to potential buyers, if one ever chooses to sell their home ). In many cases the stairs is the first thing one sees when they enter their home. A curved staircase is a great focal point in a house and often seen as a grand piece of furniture / an amazing feat of architectural design and craftsmanship. 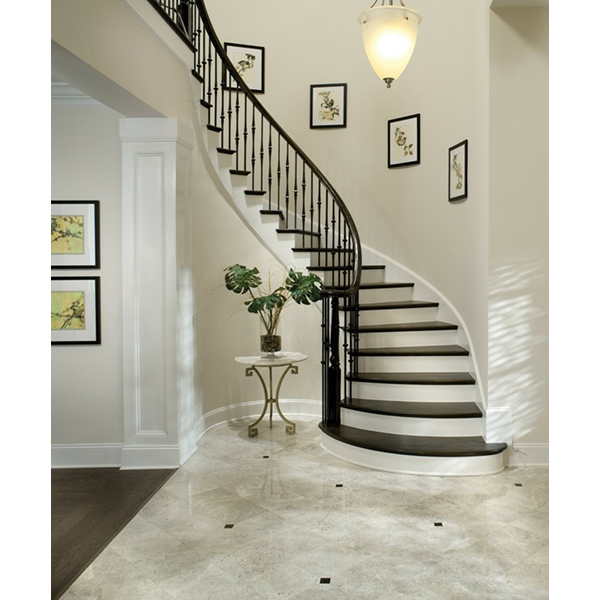 The Scotia Stairs Limited team of talented sales and stair builders have the experience, know how, and skill to deliver the highest quality custom curved staircase, from dream to the reality of your installation. Located in Great Halifax, we service most of Nova Scotia from Halifax, Dartmouth, Bedford, Sackville, Chester, Wolfville, Truro and Beyond. 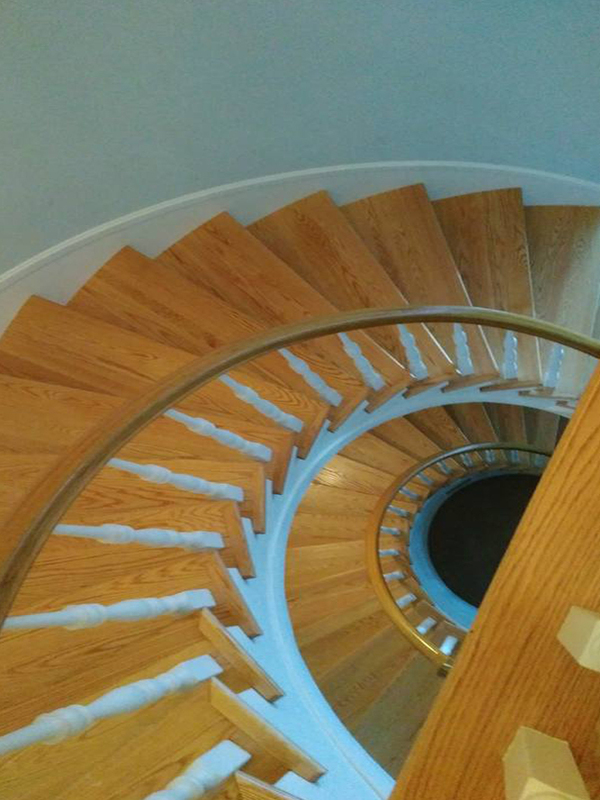 We aim to please and we are very proud of our team of residential curved staircase specialist. Our curved staircase specialist has 30+ years experience. 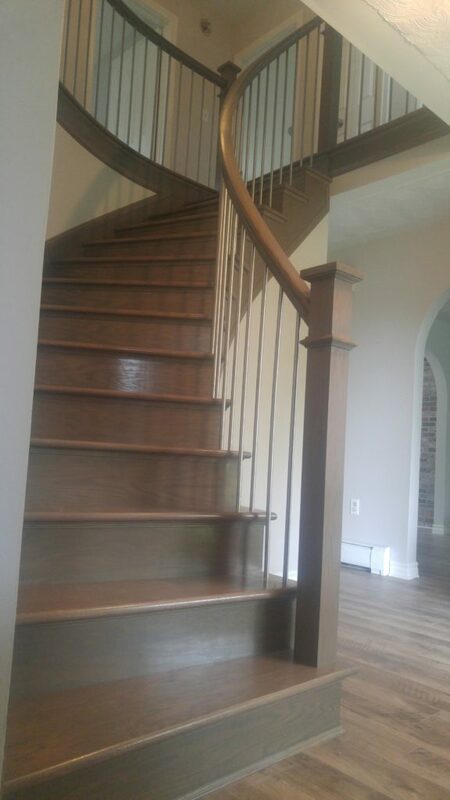 From new home stair construction, to existing home staircase renovations, we will design and install a curved staircase that will be a main center piece of your home and give you a lifetime pride. Our curved staircase packages are available as all wood or wood with white risers and white skirts. 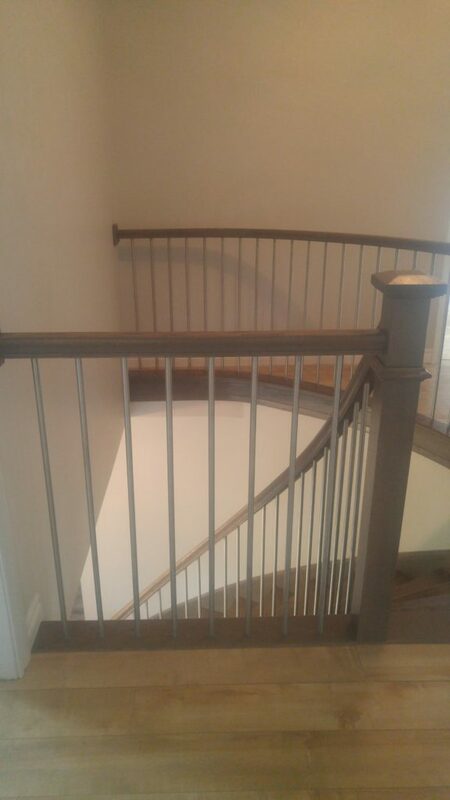 We can offer many designer metal balusters, and our stairs are constructed to the highest standards in the staircase industry. 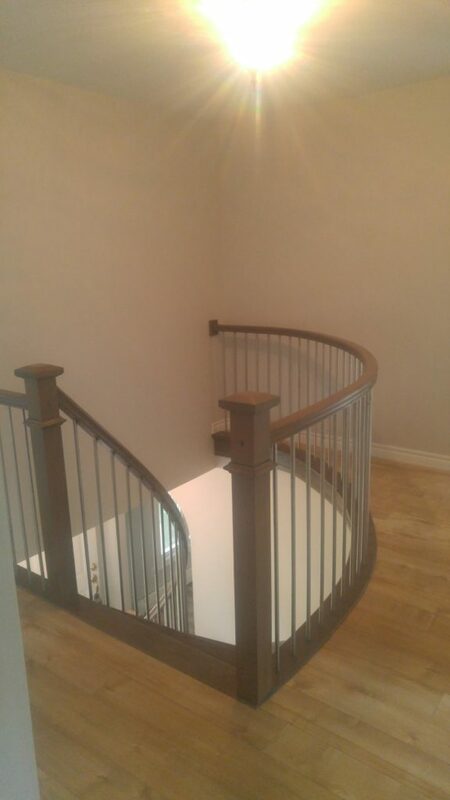 We build custom curved staircases that are second to none, visually appealing, and installed by master builders. Our custom staircase designs are award winning, Scotia Stairs Limited is the “Consumers Choice Award Winner for Business Excellence”. 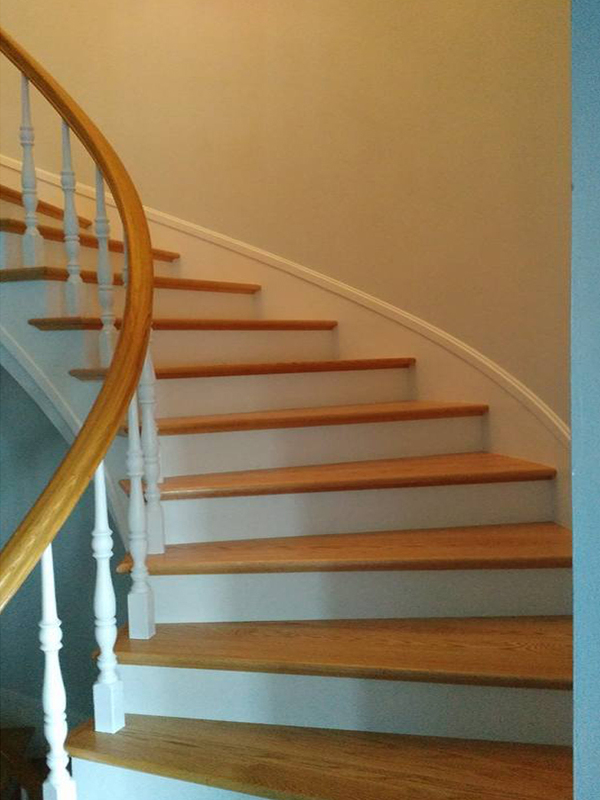 We understand that you are very busy and that you have many questions about your new custom curved staircase project. We know that your are not up to speed on all the terminology we may speak of, and this is 100% ok with us, we care and we want to educated you and we want you to know that every question you have is important and that no question you should never not ask us. 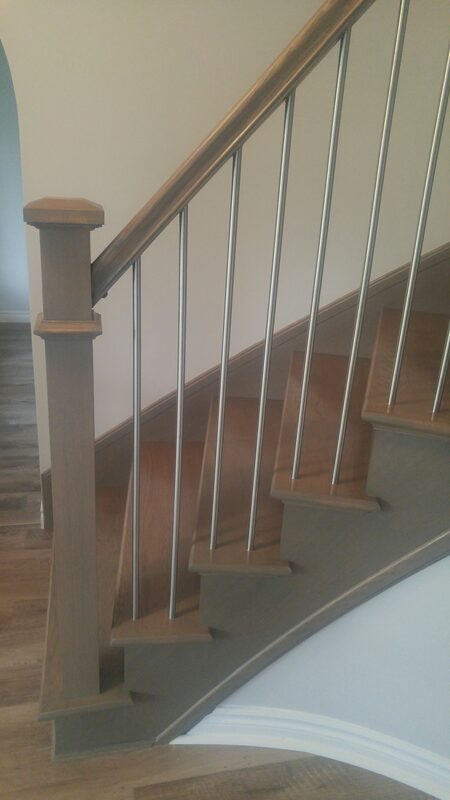 You are our client and you have unique needs, based on your unique personal vision for your curved stairs project, and it is our job to capture your dreams and turn them into reality. 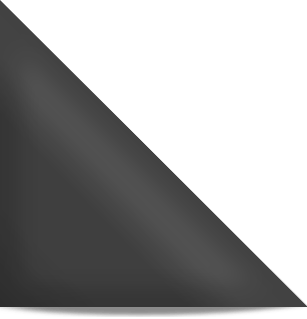 Contact us today and we will make the process of getting the custom curved staircase of your dreams simple. Send us a quick email, tell us a bit about your project and where you are located, and we will begin to get the ball rolling. If you have a specific design in mind, the team at Scotia Stairs Limited will work closely with you to bring your vision to life. If you are seeking inspiration or ideas, we will help you to explore your options and make the best possible decision for your style and needs. Our company has the skills and expertise to soundly execute your custom curved staircase project, and we will work hand-in-hand with you from design to install date of the stair build. We are BBB A+ Rated. BBB Accredited, NSHBA Members, and Halifax Cambers of Commerce Members. Our reputation speaks for itself, and client satisfaction is our upmost priority. 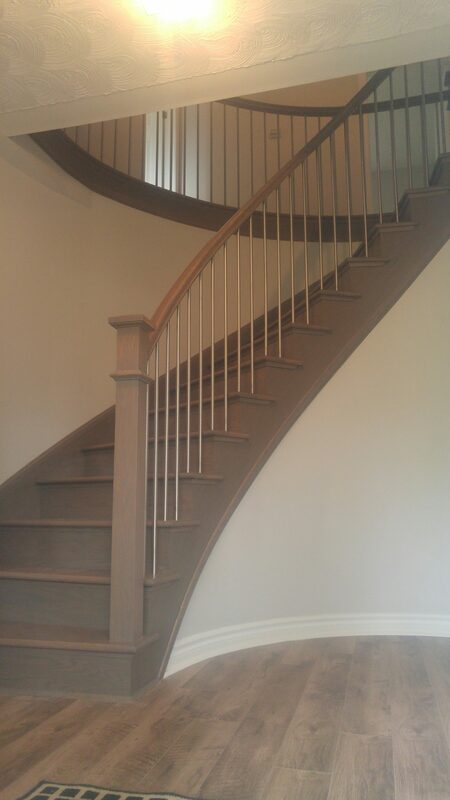 From your first call/email to the installation of your new curved staircase, the Scotia Stairs team is committed to delivering the highest quality curved stairs. Please contact us today to get a quote and discuss the full details of your custom curved staircase design needs.